best kitchen – Design Your Lifestyle. Established in 1997 by Peter Ross Salerno, CMKBD, Peter Salerno Inc. has quickly become on of the top design firms in the world, achieving 34 National Awards since 2002 from such prestigious organizations as the NKBA, Sub-Zero, Wolf, and Signature Kitchens & Baths. One of the greatest feelings Peter Salerno and his team experienced lately was being honored with a 2016 HGTV People’s Choice Award. For several years, Peter Salerno has been listed as an HGTV Featured Designer, which is a pleasure and a tremendous opportunity for him and his business. Peter Salerno Inc. is family-run business stemming from three generations of artisans- not a franchise under a common name. We are committed to providing luxurious and functional spaces that compliment your lifestyle. We offer an exclusive collection of furniture and design. From custom made kitchens and baths, to innovative entertainment centers and elaborate wine cellars- our team strives to deliver a beautiful addition to your home. We are constantly raising the bar by using the newest and most up-to-date materials. Our showroom features the most cutting edge in concrete, stainless steel, reclaimed tin hoods and panels, induction cook tops, LED design, and fiber-optics, as well as a large selection of La Cornue Appliances (including a live display with a working Château 120 and a Flamberge Rôtisserie. At Peter Salerno Inc., the design team focuses on creating a luxurious and functional spaces that compliment your lifestyle. Whether a kitchen, master bath, or wine cellar, they incorporate your personality, passions, and hobbies into our design to create a finely tailored living space for you and your family. It’s not just focusing on the big picture, the little details matter just as much. To fill in these gaps that most other companies have, Peter Salerno Inc. carries a premium selection of hardware and faucets with which to accessorize your kitchen. Peter’s daughter, Gabrielle, can help you pick out all your hardware needs. The kitchen is one of the most important rooms of a home. Peter Salerno Inc. are the leader in kitchen design because all of their designers are required to learn to cook or bake on a serious level. Peter and his son Anthony both take numerous classes at the Culinary Institute of America each year. They take their cooking so seriously that Anthony designed and together they released the finest USA hand-made kitchen cutlery and cookware available to date (the EDGES collection). At the prestigious NKBA Awards Ceremony in Las Vegas, Nevada, at the KBIS 2016 conference, Peter Salerno Inc. was honored with an unprecedented 34th national kitchen and bath design award. 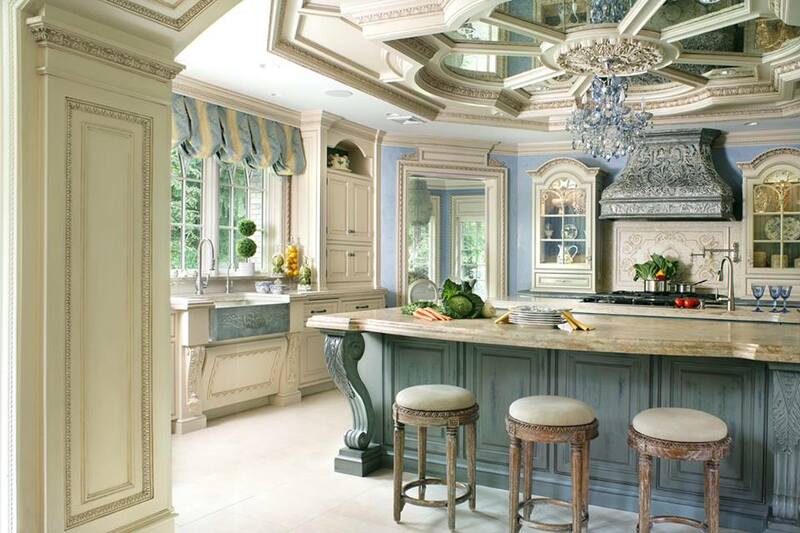 In doing so, Peter Salerno Inc. increased its claim as the most award-winning custom kitchen and bath design firm in North America of this century. This year, Peter Salerno Inc. was awarded 3rd place in the Large Kitchen category, marking the company’s 6th national award in the last 15 months. 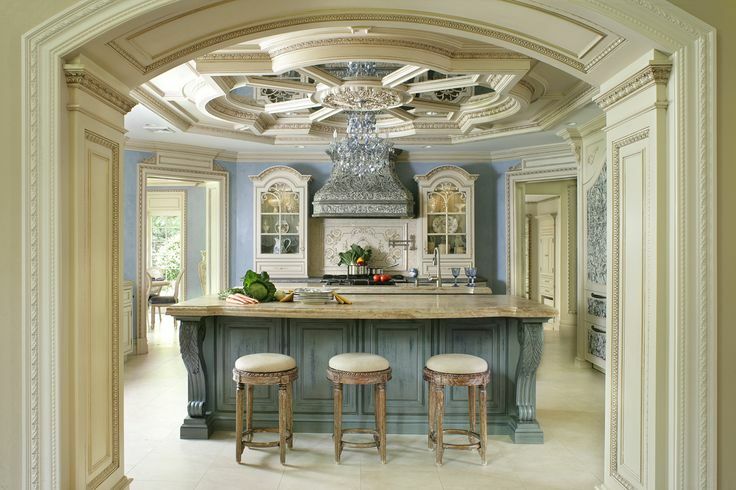 The same kitchen design was also awarded the prestigious HGTV People’s Choice Award for custom kitchen design. 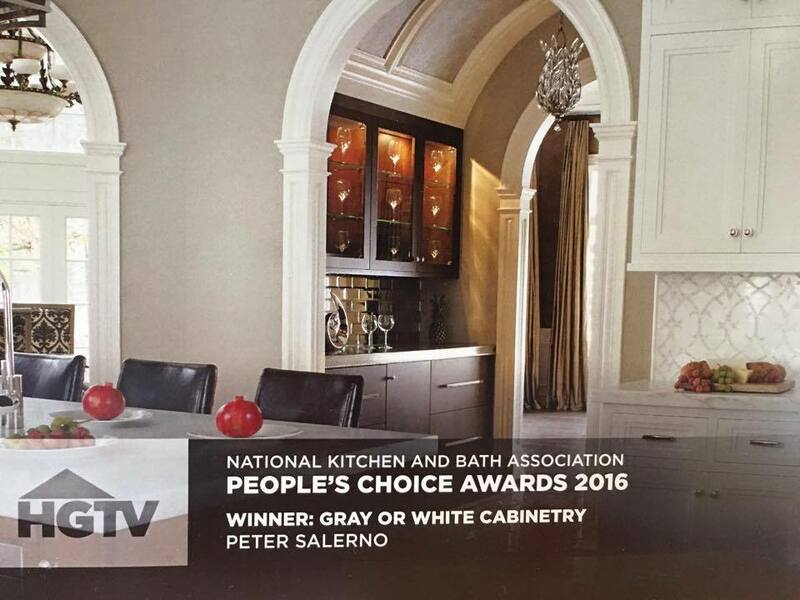 The kitchen design that won these 2016 awards for Peter Salerno Inc. featured gorgeous custom gray and white cabinetry, handcrafted by Peter Salerno Inc. from their Maestro Rosolino collection. 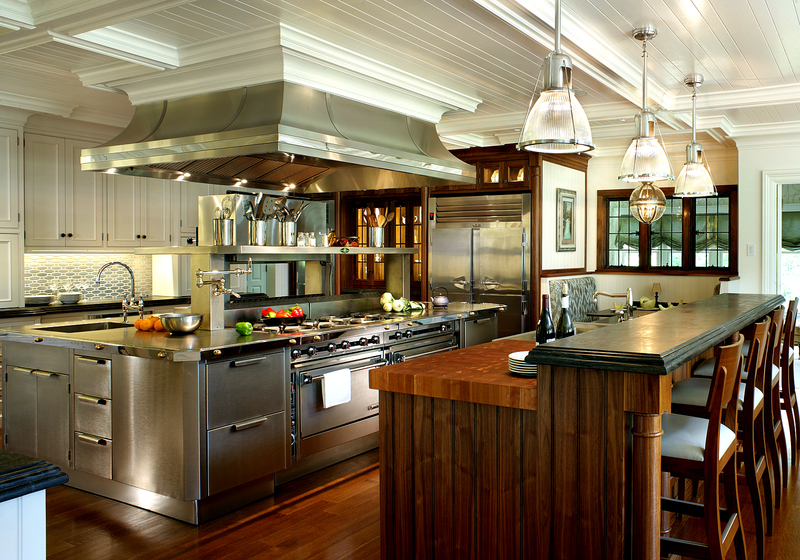 It also features a custom range hood designed by Peter Salerno and crafted by the artisans at Rangecraft. KBIS 2016 was the largest national kitchen and bath design convention to date, and was held as part of the massive Design and Construction Week in Las Vegas. From January 19-21, 2016, KBIS was the talk of Las Vegas, with its showcase event being the 2016 NKBA awards held the night before the convention kicked off. 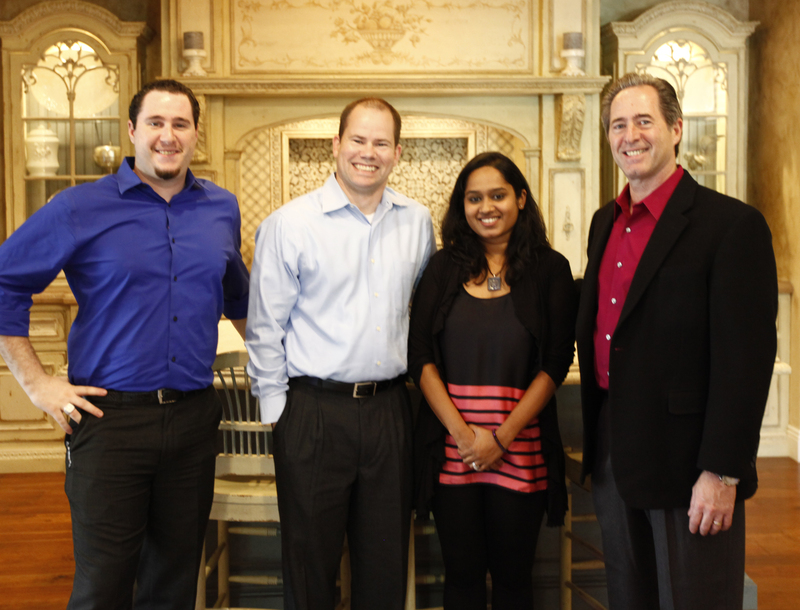 The last year has been a whirlwind of activity, expansion and gorgeous kitchen and bath design for Peter Salerno Inc., which designed and installed custom kitchens and baths everywhere from New Jersey to Florida, Canada to Russia. 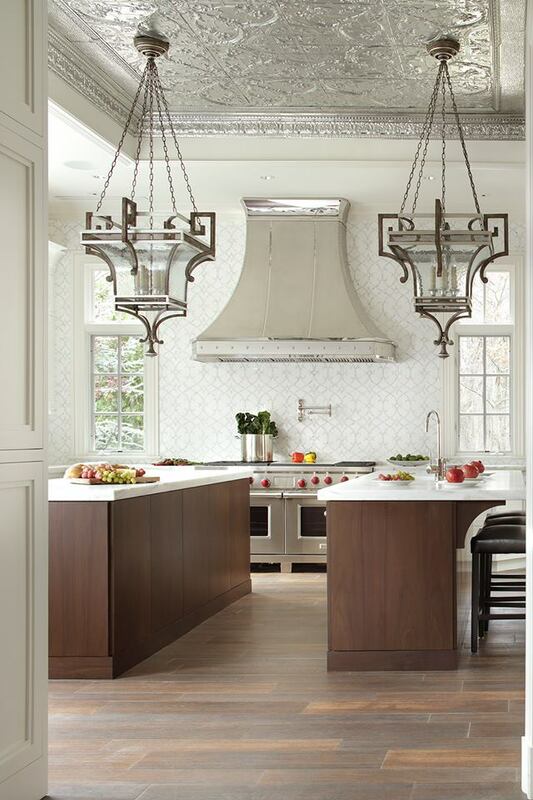 By winning their 33rd and 34th national design awards, Peter Salerno and his team have proven their commitment to excellence in custom design has not been diminished by their expansion as a truly international kitchen and bath design firm. Isn’t it time you joined Peter Salerno Inc., and made your kitchen or bath “all about the extraordinary”? For your very own custom, personalized, world-class design (and who knows, maybe your own national design award! ), contact Peter Salerno Inc. for your private, personalized consultation. January 2016 June 2016 Peter Salerno, Inc.
During the exclusive awards ceremony at KBIS 2016 (the most notable North American kitchen and bath design industry show), Peter Salerno Inc. was given the prestigious HGTV People’s Choice Award for his beautiful custom kitchen design. The HGTV People’s Choice Awards are voted on exclusively by the people – not industry insiders, experts or a panel of judges. This fact makes Peter Salerno and the team at Peter Salerno Inc. feel especially honored to receive their award. The kitchen design that won the 2016 HGTV People’s Choice Award for Peter Salerno Inc. featured gorgeous custom gray and white cabinetry, handcrafted by Peter Salerno Inc. from their Maestro Rosolino collection. Peter Salerno’s winning custom kitchen design was also in the running for a NKBA award during the KBIS 2016 convention – stay tuned to the official Peter Salerno Inc. blog for more information on those proceedings! Over the past 15 years, Peter Salerno Inc. has been honored as the most award-winning custom kitchen design firm in North America by the NKBA (National Kitchen and Bath Association). The accolades continued this week, when the NKBA featured a Peter Salerno Inc. kitchen design as a key portion of its NKBA 2015 Kitchen and Bath Style Report. 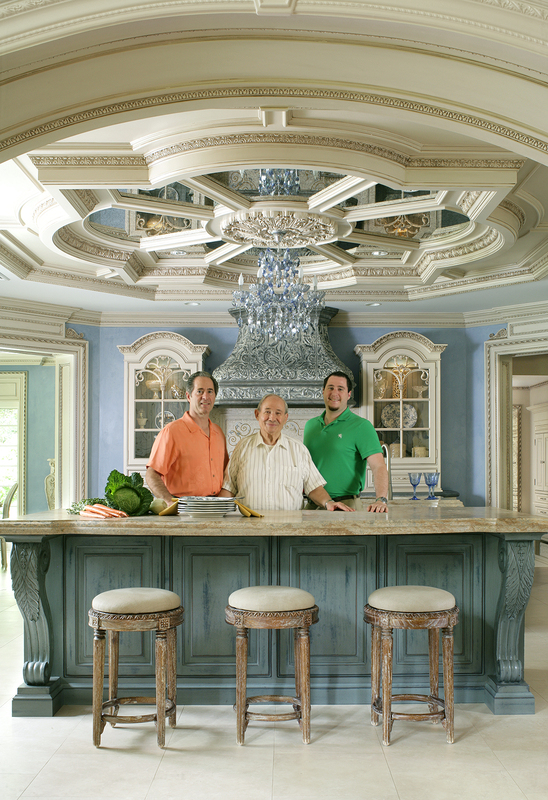 Astute followers of the official Peter Salerno Inc. blog will recognize this kitchen from several previous articles, including a wonderful photo featuring 3 generations of Salerno family craftsmen – Peter Salerno, his father Rosolino and his son Anthony. By the very nature of kitchen and bathroom remodeling and construction, trends in our industry don’t change as quickly as fashion or even furniture. Many products that go into kitchens and bathrooms are built to last a generation or more. Yet every year, we see innovative new products emerging and taking off, generating new insights for trend spotters. Since NKBA members are on the cutting edge of kitchen and bathroom design, this survey is useful in identifying emerging trends, such as the big shift from traditional to contemporary, and use of multiple colors and styles in the kitchens. The team at Peter Salerno Inc. wishes to say thank you to the NKBA for the honor of being featured in its official 2015 Kitchen and Bath Style Guide, which is available for purchase now.